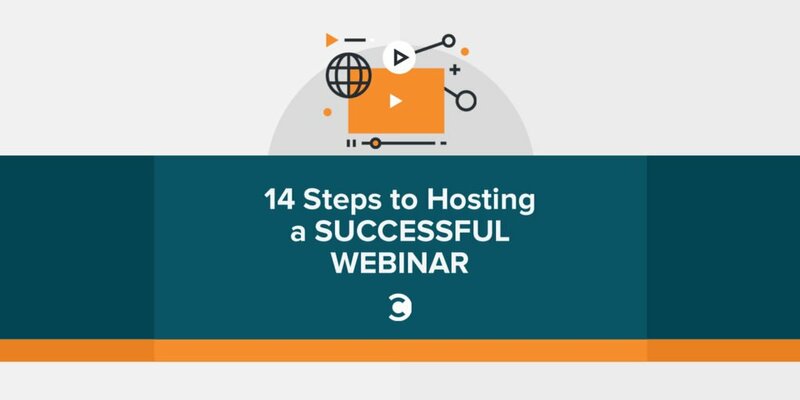 Following is a step-by-step list of how to host a memorable, interesting, and useful webinar. Of course, this list may change, depending on your business and your industry, but it provides a good place to begin thinking about how to generate good, qualified leads from content. Choose a topic and a headline that has great search potential. For instance, we did a webinar about Google analytics. Rather than call it “Advanced Analytics,” we called it, “The Lies and Truths of Google Analytics.” The difference is the second one is much more compelling to someone who doesn’t know what great content you offer. 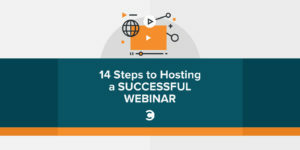 Set up the webinar with your provider (brightTALK, GoToWebinar, Adobe Connect, and WebEx are some of the favorites) and grab the registration link they provide. You’ll include that in the email they get after they’ve registered. Create a landing page on your website or blog (you can use Hubspot, FormStack, Impact, or Landerapp) that requires a name, company name, and email address to register and has all of the information about the webinar. Create a list of tactics you’re going to use to distribute information about the webinar: News release, social networks, email, blog, Facebook ad, Google ad, and postcard. Using the URL of the landing page (not the URL of the webinar software registration), create a different link for each of the tactics using the Google URL Builder. What this does is create a campaign in your analytics under traffic sources > sources > campaigns. When you open that tab, it’ll list the visitors per tactic. It will list in there, “March 28 Webinar from Newsletter,” “March 28 Webinar from Social Media,” “March 28 Webinar from News Release,” etc. This gives you data to use so you know which tactics work best for your audience. Shoot a one minute video to describe what people will learn in the webinar. You can house this on your website and/or blog, distribute it through the social networks, and use it in email marketing. Human beings are visual creatures. You’ll be amazed at how well this one thing works. One month before the webinar, distribute a news release (using your media relations URL in the body) on the wire (PR Newswire, PR.com, BusinessWire, or Pitch Engine, depending on your budget). Also upload the release to the newsroom on your website. If you have a newsletter, include the webinar in the email one month prior to its date. Now you want to think about email marketing, separate from the newsletter. If you have a newsletter, you’ll have three other emails. If you don’t, you’ll do four emails. Do one a month before, one three weeks before, one a week before, and one the day before. It will seem like a lot of emails to you, but most people get the information and sit on it and then register the day before the event. The URL you use in the emails will be different than what you use in the newsletter so you can track the effectiveness of each. Using the social media URL you created, begin to post the webinar on your social networks. Ask your team to do the same. If you have a guest speaker for the webinar, have them share it. If you have a LinkedIn company page, share it there and ask people for recommendations so it rises in search results inside the social network. Fair warning: Most registrations do not come from the social networks so use this tactic with that expectation. If you have a blog, write a blog post about what people can expect to learn if they attend. This is not a sales pitch. It’s valuable and educational content that motivates people to register. When we did the Google analytics webinar I mentioned above, I wrote a blog post about what *I* learned by watching it ahead of time and why I was excited to share it with our community. If you want to test Facebook or Google ads, they’re both very inexpensive ways to see if you can attract new visitors who don’t already know about you and your business. Do this two weeks out. You can also go really old school and send a postcard to your database. Because that’s rarely done anymore, it can be pretty effective. Do this a month out and make sure your URL is specific to direct mail so you can track whether or not it works. Now it’s time for the webinar. Make sure you record it because a good 50 percent of those who register will not show up. After the webinar (we like to do the next day, but many do it same day), send an email to everyone who registered with a link to the recording. Put the recording on your website so you can track who visits and downloads. You can also put it behind a landing page so anyone new has to enter their email address to download it. For the most part, the people who register for your webinar are qualified leads. Some will be competitors because they want to see what you’re up to and will want to copy you, but most will be people who want to do business with you.